free application, games, themes, tone, wall paper, on www.zedge.com..
Gerwin Sobremisana, 20 Jan 2011Hi Prabash, If you want to install the application that you have downloaded on your X8 to yo... moreThanks Gerwin.. I followed your steps..But I had the wrong idea that I thought it would let me install the applications on my SD card..but instead it just allows me to create a backup on the SD card using which I can manage them(install or uninstall) the way I want, at any time I want..Pretty useful when it comes to Live wallpapers..because you will be able to do the same thing(which is done by the AppControl) for games or other applications if you download an app like Astro file manager and get the apk file of the particular application(games or others) and put that into the SD card..using the Astro file manager you will be able to install them..
2. Once open, the application would show you the list of installed applications on your phone. 3. Select the specific application on your phone within AppControl or Easy Manage. 4. Press and Hold on that specific application that you would like to be installed on your SD card. 5. A pop up will appear which has some options to choose from, please make sure to select BACK UP to SD card. By doing such, the application will be installed on your SD card and moving forward, you can now install and uninstall the application on your phone from your SD card. and can u please help me on how to move the applications to SD card using that app? and can u please help me on how to me the applications to SD card using that app mate? Prabash, 20 Jan 2011Can someone please tell me some apps which will help me to get the zooming option to the camer... moreIf you want the zoom feature, you can download and install Vignette and it has the option to let you go directly to your album (it also has a bunch of features). If you want a fancy way to check photos taken by your camera, you can use Floating Image. Hi guys! O got two of those applications. I forgot where I downloaded it but yes i can share it with you. What I have is AppControl and Easy Manage. What I'm using now is AppControl because I like its interface but Easy Manage is also good. Gerwin Sobremisana, 19 Jan 2011I already have Eclair on my X8 but it doesn't allow me to back up my downloaded applications o... moreYeah mate, it would be really appreciated if you can share the name of that application and how we can find it..
Can someone please tell me some apps which will help me to get the zooming option to the camera and to get a better gallery to manage my pictures? I have always wanted Sony to get out of this partnership with Ericsson. Ericsson does nothing but complicate the things for Sony. Due to SE being a joint venture, Sony's communication with SE is almost null. Sony hardly gives permission to use their technology in SE phones. Morover the headquarters, research facilities, manufacturing units, management of sony & se r located at diff. places making their communication with each other almost impossible. Even the engineers in SE r not the ones which work for Sony. SE is working as a completely separate entity & getting nothing from sony. 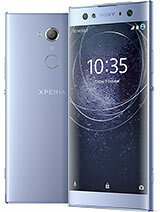 If the mobile department had been 100% sony's part situated at their headquarters in Tokyo than sony's mobile phones would have been the top selling devices in the market due to latest tech implementations from sony & sony would have put much more money into it's mobile division without fearing abt any kind of loss. sheyana, 19 Jan 2011hi guys. how do you transfer files to the memory card??? hii sheyana u have to use ur usb cable to send the data. Gerwin Sobremisana, 19 Jan 2011I already have Eclair on my X8 but it doesn't allow me to back up my downloaded applications o... moreso dont you feel to say which application you have installed in your phone to save applications in the sd card, or you want to enjoy yourself only. If you buy the x8a version which is for north america yes you can get 3G and it works very good. Just be sure to buy the X8a and not the x8i which is meant for Europe and Asia.